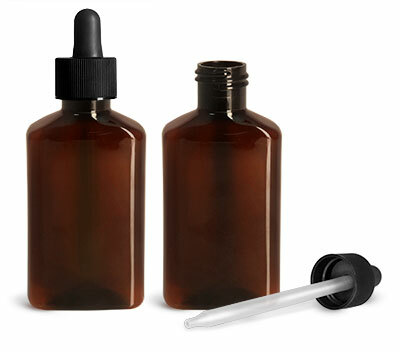 These amber PET oblong bottles provide a sleek and functional packaging option when paired with black bulb plastic droppers. For controlled dispensing of a variety of products, bulb droppers allow droplet dispensing in an amount of 1 ml per bulb draw. Choose these amber plastic bottles for a finished look with ample front and back panel labeling options.